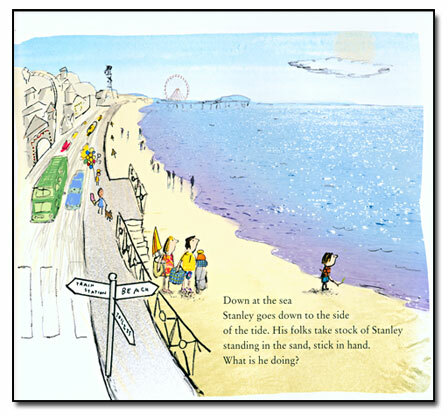 Stanley’s Stick has been shortlisted for the Portsmouth Book Awards 2013! The Awards are to be judged by over 4,000 pupils from 32 Portsmouth schools with the winners announced later this year. For more info and a list of all the nominated titles there is a pdf here – PBA 2013 shortlist announcement. Sorry Neil, I didn’t leave a comment with my link. Just to say, good luck with the award. Stanley is proving very popular here in Derbyshire. Thanks James! – and for posting the link about your musical Stanley’s Stick storytelling session too. What a fantastic idea!